We joined the beach cleaning as a part of the integrated learning class of the 2nd year students of Misaki junior high school on June 6, 2016. 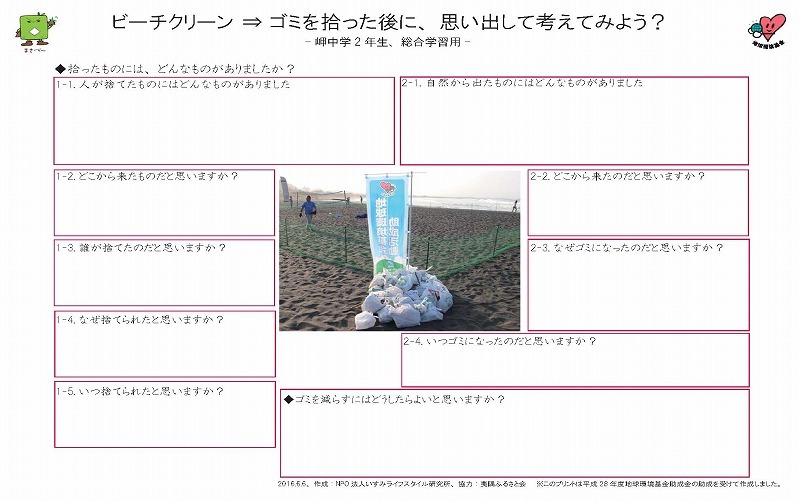 In their 1st year, we Isumi Lifestyle laboratory worked together to create a community development plan in their integrated learning class. 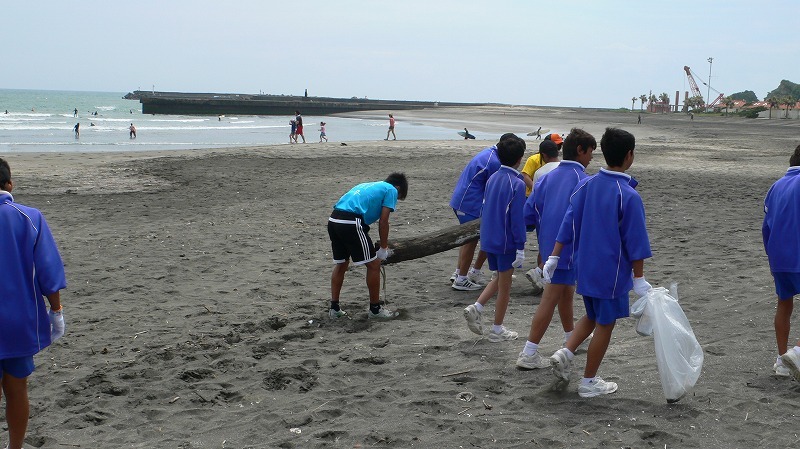 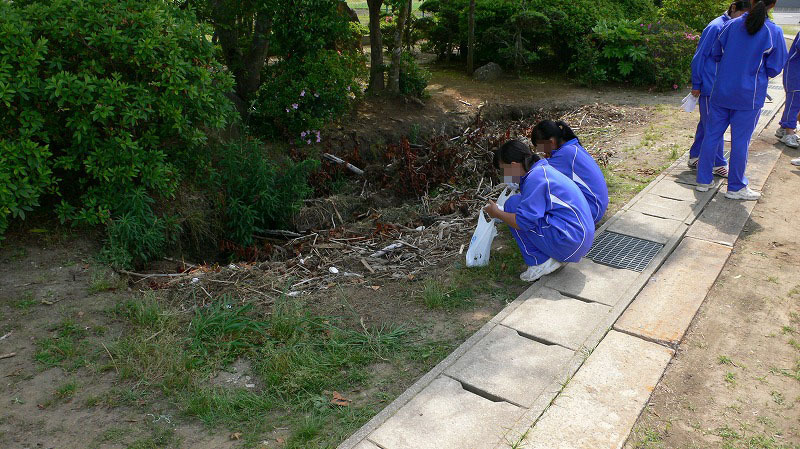 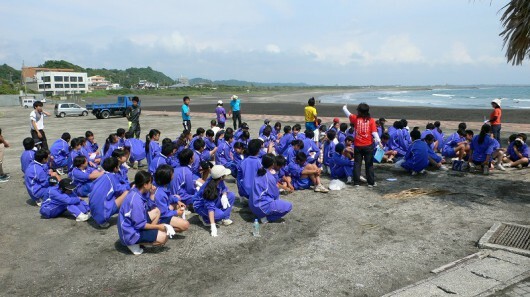 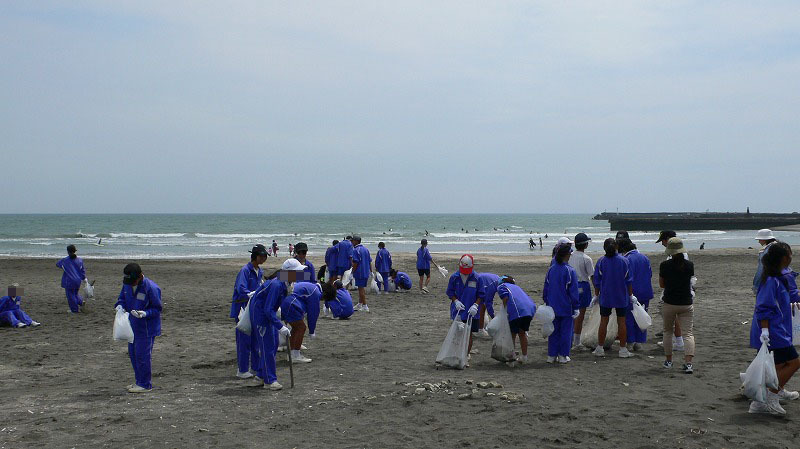 During the class, this beach cleaning activity was chosen as a community development activity that student themselves can take initiative. 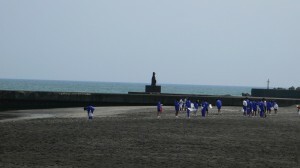 As it was supposed to be cancelled even in case of slight rain, we worried about the weather. 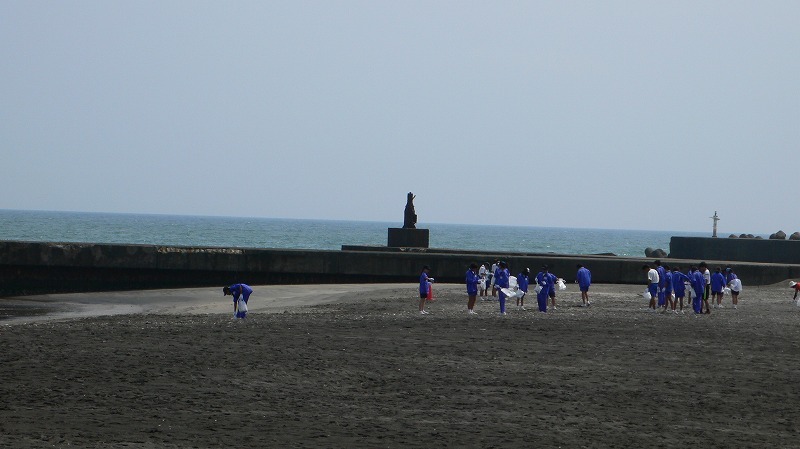 It was, however, sunny on the day. The sun was strong, but the wind was pleasant and it was a good weather to work outside. 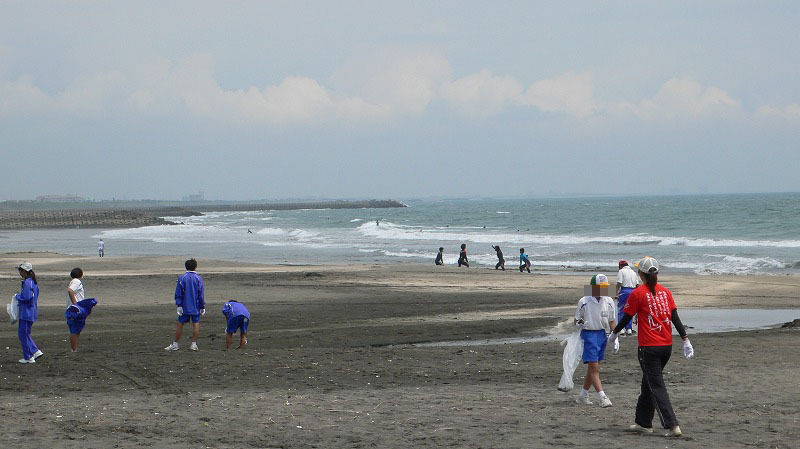 While students were picking up trash, surfers were riding the wave behind them. It seems surfers routinely clean this beach and trash cans were set like this to separate them properly. 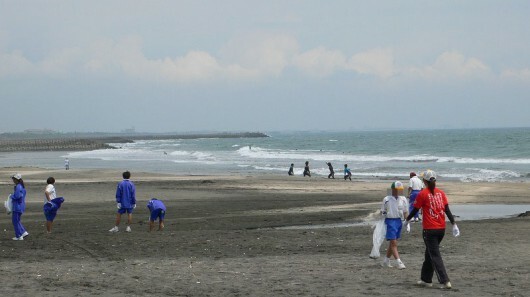 There was less trash in the area where surfers are around. 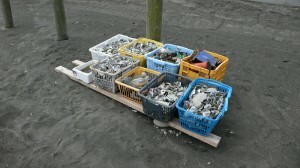 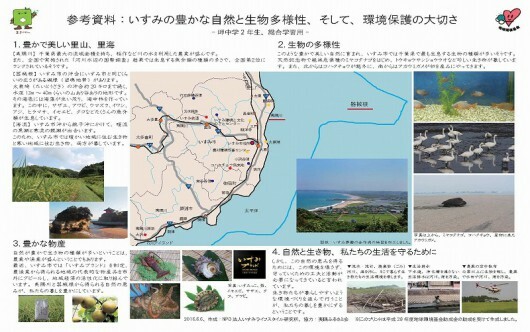 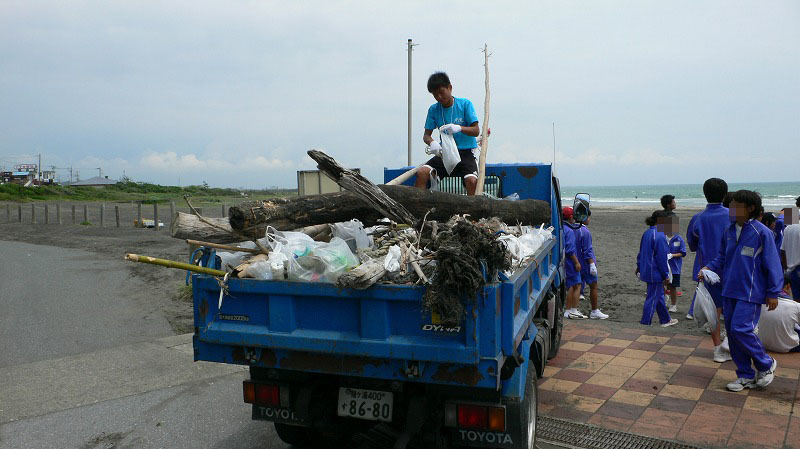 As we move forward to Ichinomiya-machi direction, where surfers are not around, however, we found lots of trash. During the cleaning, a truck to carry the collected trash was stuck in sand. A friend of the vice principal helped us driving his wheel loader. 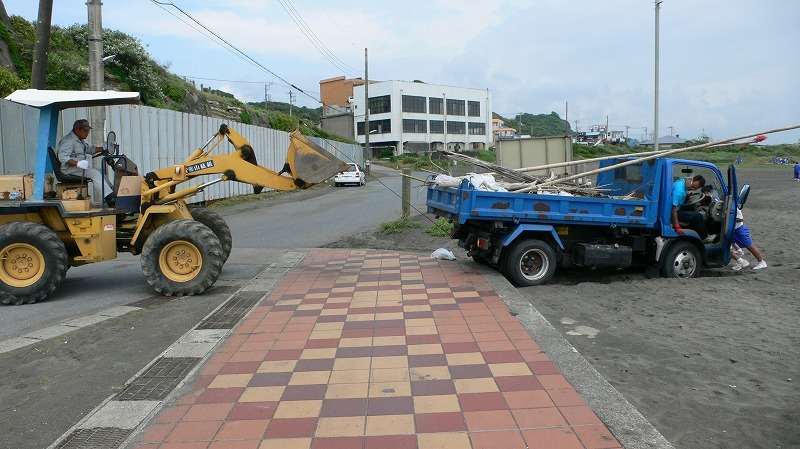 Students also pushed the truck and truck was successfully unstuck. 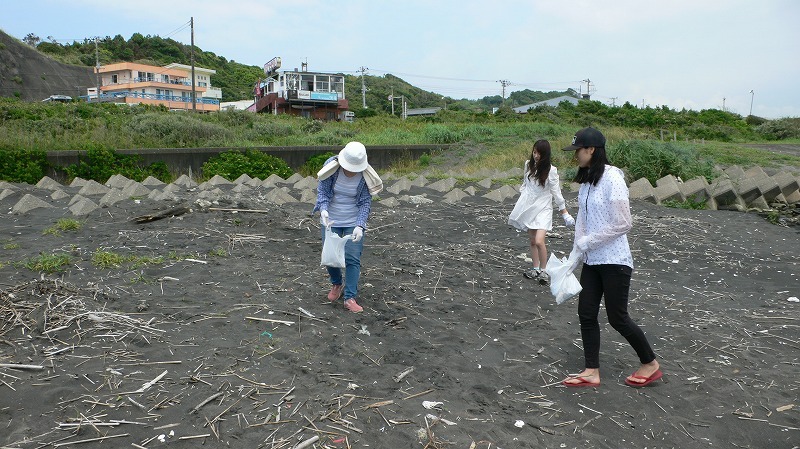 We collected so much trash. 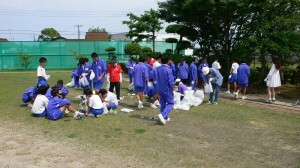 The student went back to school and separated the trash in the afternoon. This was a whole day activity. Great work, students. 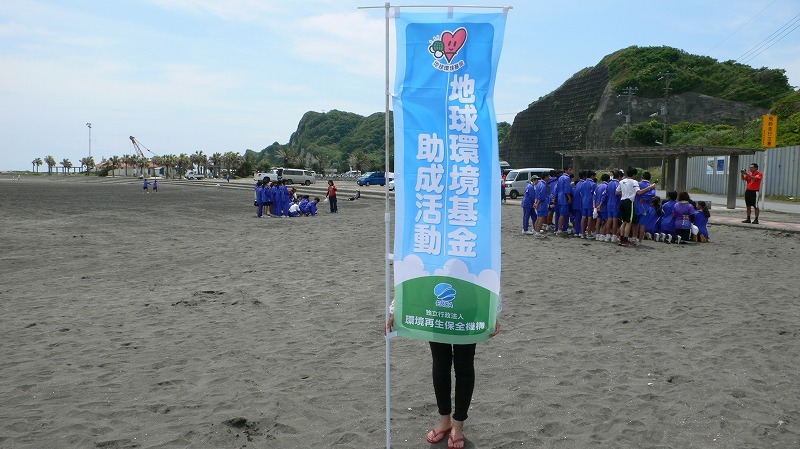 And nice support, teachers. The activity was done with no accident. 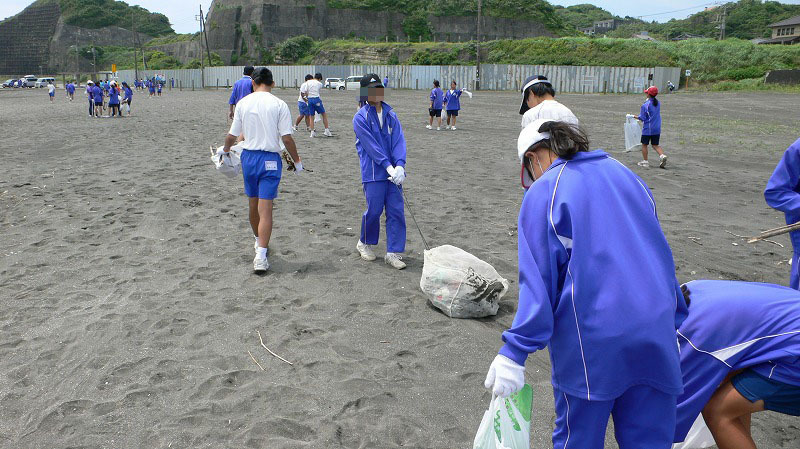 Isumi Lifestyle Laboratory provided trash bags and work gloves for this cleaning activity through Japan Fund for Global Envionment (JFGE) Grant Program 2016. We also prepared and provided handouts to support leaning community development.